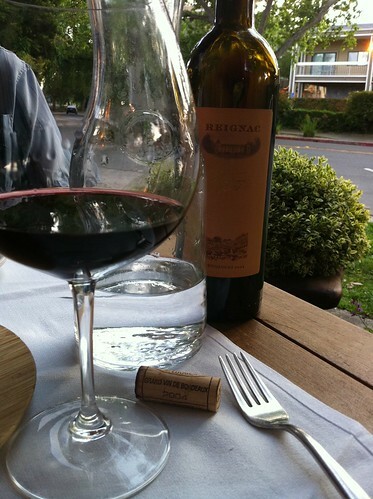 For my birthday, I was treated to a great meal at my favorite restaurant in Davis, Tucos Wine Market and Cafe . Tucos is a small, intimate space hidden behind the Amtrack station. The best seats are on the patio where you can do some prime people watching. Tucos has a wide variety of well prepared, fresh food ranging from simple burgers to homemade pasta. It’s an ideal place to meet with friends to try a wine flight or in my situation celebrate a special occasion. Due to it’s popularity and minimal seating I recommend making a reservation if you are planning a visit. Sunday was an absolutely gorgeous day. The weather was just perfect for eating outside. 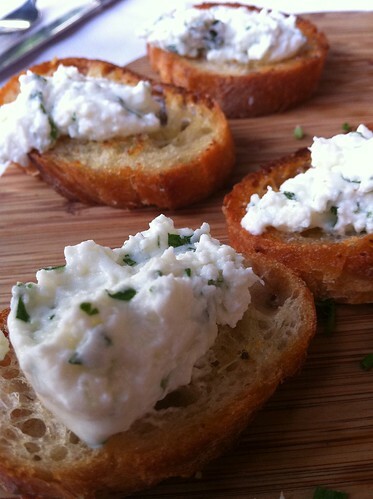 We started the evening with a warmed goat cheese crostini appetizer. It’s was simple but it had incredible flavor. Instead of getting wine flights we opted to split one of their great French wines. It was difficult to make a decision about dinner. They have an extensive list of burgers, pizzas, Latin dishes and entrees. 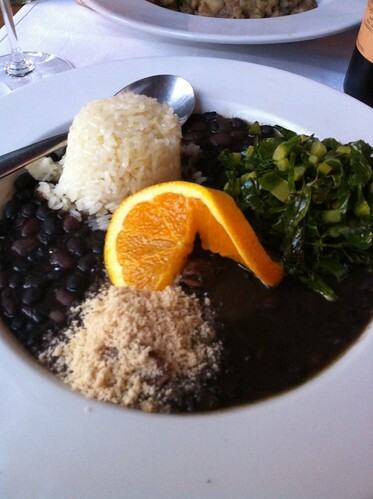 Simon chose a South American dish called Feijoda which is stewed beef, pork, black beans, rice, collard greens and farofa (toasted yucca meal). 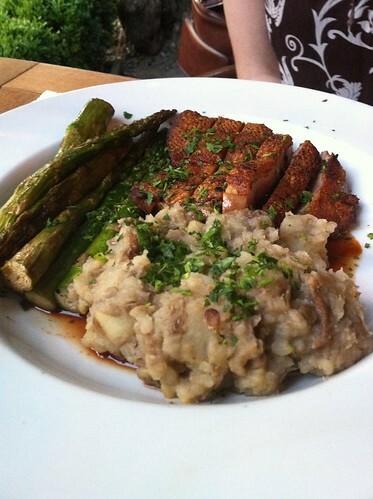 I went with a seared duck breast with grilled asparagus and mashed potatoes and lentils. The whole meal was heavenly. The duck was crisp and moist and the aspargus was grilled to perfection. The owner overheard me raving about the mashed lentils and potatoes and he revealed the secret was the olive oil he gets directly from Portugal. My dish of seared Peking Duck breast, asparagus and amazing potatoes with lentils. 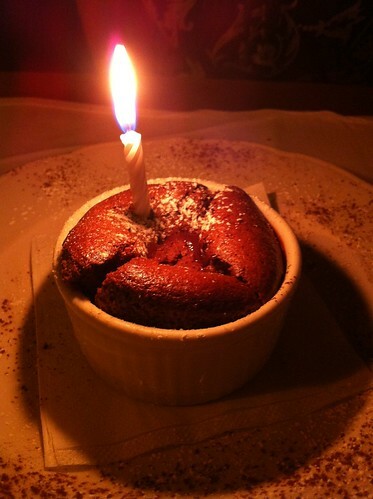 We ended the evening with a tasty, chocolate souffle and a glass of Cava. If you are in the Davis area I recommend giving Tucos a try. I’m really glad you had a wonderful birthday! Dinner looks delicious 🙂 I have had feijoda before, but with beef and goat rather than the pork and it was delicious. I don’t think I’ve ever had lentil potatoes, but it’s on the list of things to learn to cook. Do you grow asparagus? I’m thinking about growing some here but I don’t know how it would do in my climate.